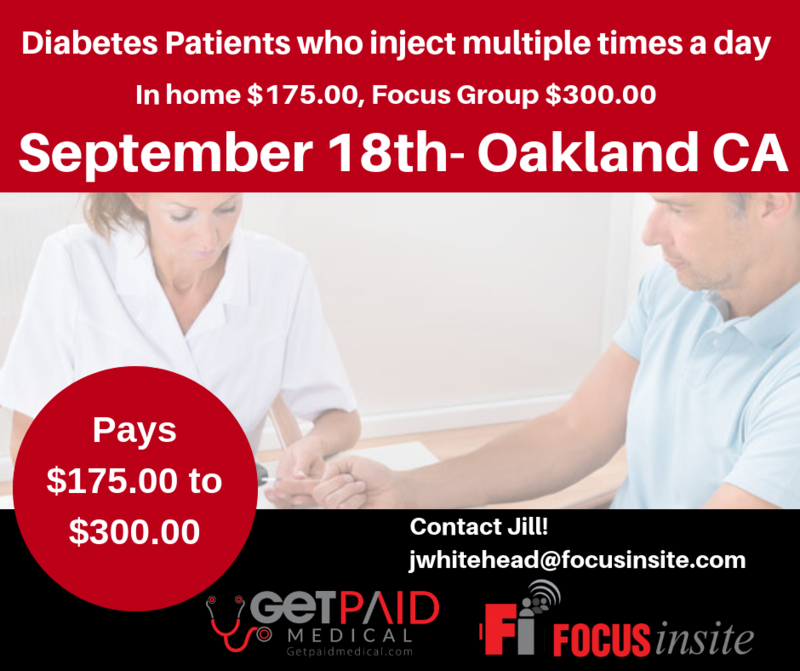 We are looking for patients with both Type 1 and Type 2 diabetes who inject insulin multiple times a day. This is being held on September 18th. We can either come to your home, or have you attend a focus group. The in-homes are $175.00 for about 90 minutes and the Focus Groups pay $300.00 for about 3 hours of your time.